Joiners are specialist carpenters who craft ornamental woodwork and joinery, and can work on a variety of projects ranging from building furniture and cabinetry through to interior fittings such as windows, doors and staircases. A joiner constructs, renovates and repairs fixtures and frames of a building, predominantly made from timber and plywood. They are needed to measure, cut and shape structures for walls, ceilings and floors. The woodwork extends to beyond installing wooden skeletons of rooms, with joiners also building everything from shelves and cupboards through to railings and doorframes. If you like a hands-on career, and have an eye for detail, you can start your career as a joiner by gaining a carpentry apprenticeship and studying a vocational training course. A joiner is a carpenter who works primarily with wood, manufacturing shaped fittings and structures before installing them. A joiner reads building plans and specifications, gives advice on layout and material selection, sources the appropriate materials, and installs and builds interior fixtures and building frameworks. What skills do I need to be a joiner? To be a successful joiner, one must be familiar with procedures within the building and construction industry. This involves liaising with and working with clients, other construction workers and architects to ensure blueprints are implemented correctly. Having the ability to listen as well as effectively communicate with those you are working with is beneficial in this occupation. Joiners will also need to have a strong attention to detail, both in construction and material choice. Knowledge of what wood to use, how to use it best and how to reduce waste is extremely beneficial to individuals wanting to become a joiner. Having a career in joinery under your belt is extremely beneficial for future job prospects in the building and construction industry. Joiners can seek further work as a vocational education and training (VET) lecturer, a quantity surveyor and thanks to their knowledge of materials, an inventory and supply officer. Building inspectors ensure construction sites adhere to WHS protocols, and building processes are carried out safely on site. Building inspectors need to have a well-rounded knowledge of construction procedures, as such many of them tend to be ex-carpenters, exercising their knowledge and scrutinising safety concerns of structural conditions. The knowledge gained as a joiner can be put to good use as a VET lecturer. Moreover, a joiner could assume the role of technical teacher, provided they’re confident in their experience and ability to teach students. A construction manager must oversee the progress of construction and make sure that things run smoothly and safely and everyone knows what they are doing. This would be a good opportunity for anyone able to draw on his or her organisational prowess. A quantity surveyor works with construction costs and contracts. Duties involve financial forecasting, undertaking cost-benefit analyses, and overseeing commercial and risk management. This specialisation requires a strong understanding of the administrative tasks involved in construction work. The occupation of an inventory officer can only be filled by someone with a developed knowledge of materials needed for specific joinery jobs. An inventory officer is in charge of the type and quantity of materials ordered for a given job. To become a joiner, you should complete an apprenticeship in joinery or carpentry. Due to the high-risk nature of some projects, joiners may be required to undergo safety induction training before commencing jobs. Get started with an apprenticeship. This will give you an opportunity to work on construction sites and become familiar with site conditions and industry processes. Once you are employed, you have an opportunity to gain work experience on both commercial and residential projects, thus developing skills. Develop your skills by specialising in a niche field or by engaging in CPD (continual professional development) training. 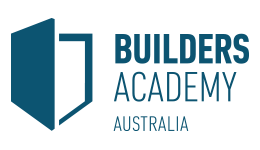 To expand your career options, you can gain accreditation or membership with a number of building and construction peak bodies. Put your training to good use and get the best professional head start in your building and construction career. Take a look at our sample resume and cover letter and put your best foot forward when you apply for joiner jobs. 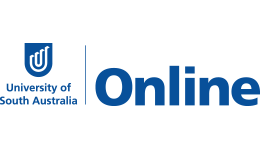 Employment for carpenters and joiners in Australia is expected to increase strongly, and it is projected that there will be 50,000 new job openings between 2014 to 2019. Employment has risen strongly in the past five years and will continue to do so.